Mix two cups of sugar with 1/4 to 1/3 cup of almond oil. Add the oil slowly until you have a soft consistency that is not too oily. Add drops of peppermint essential oil. Divide the sugar scrub equally into two separate containers. Add about 1/2 Tbsp of raspberry juice to one container. Place sugar scrub into a jar alternating colors. 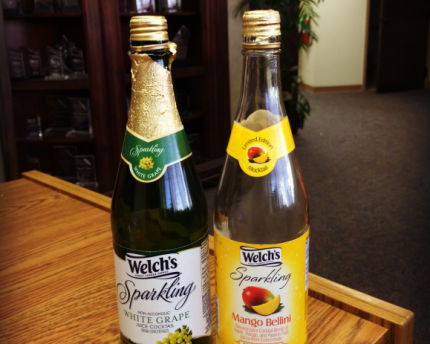 Pat the sugar down lightly and make sure it’s even before adding the next color. 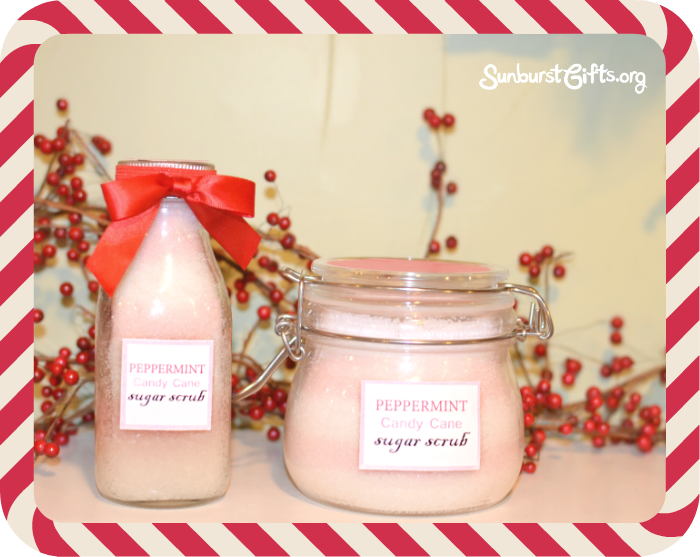 Winter is the perfect time to use sugar scrubs! Scoop out a handful in the shower or bath and rub it gently all over the skin to exfoliate. Breathe deeply to benefit from the aromatherapy of peppermint! 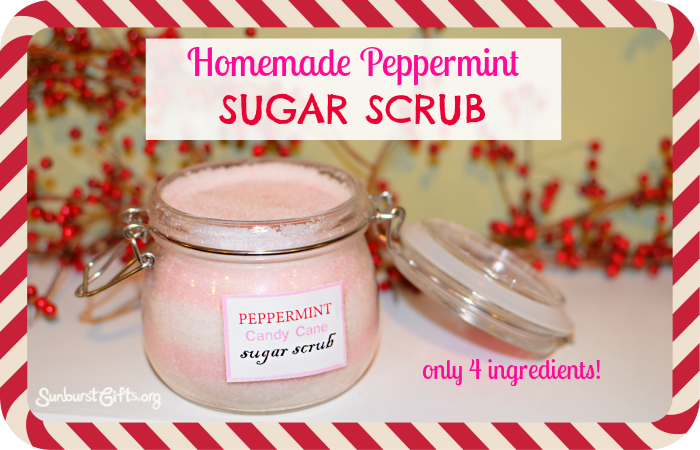 Rinse the sugar scrub off and you’re left with smooth, soft skin. 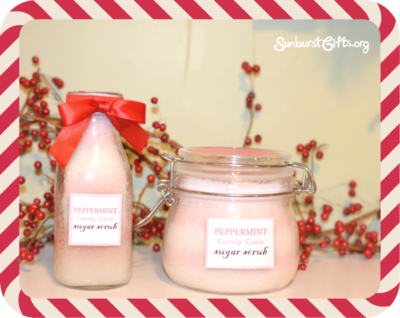 The Homemade Peppermint Sugar Scrub can also be given out as party favors or gifts to friends and family during the holidays. 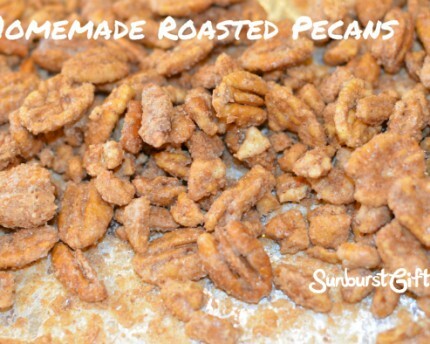 It’s so easy to make, you can even involve the kids in creating them for teacher gifts. As you’ve probably figured out, you can easily make other types of sugar scrubs using different essential oils and different food coloring. What are you waiting for? Go forth and create! Don’t forget to create a cute label to tape on the front of the jar. Make your skin so soft that newborn babies will be envious.